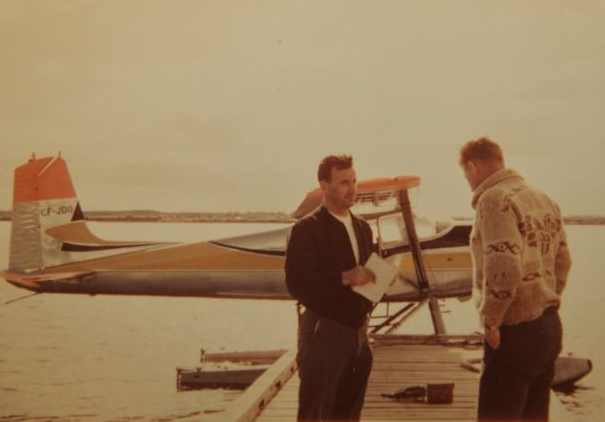 An RCMP dive team is expected to attempt the recovery of a Cessna 180 that crashed 59 years ago on a northern Saskatchewan lake with two men on board. Pilot Ray Gran and conservation officer Harold Thompson were never found after the aircraft crashed just west of Buffalo Narrows on Peter Pond Lake on Aug. 20, 1959. The original search lasted for months but failed to find the wreck and bodies. In late July, Gran’s son-in-law Donald Kapusta and Garry Kozak found the 180 using underwater side scan sonar. RCMP spokesman Cpl. Rob King told CBC News that there are a lot of logistical considerations in mounting such a search and the decision to go ahead will depend on water conditions and the availability of help at the search site. Weather and anything else that might hamper safety could cancel the dive but King said the divers are some of the best in the business. “Our dive team is probably one of the most dangerous roles for our members in the RCMP,” King said.